WeAllSew Celbrates Our Loyal Fans: 69,000 Fans! We’ve just surpassed 69,000 likes on our BERNINA USA Facebook fan page! As a way to say “Thank You!” to all who join us at Facebook to share your love of sewing and creating, we are hosting another special giveaway. If you are already a fan of BERNINA USA on Facebook, then you know that we’ve hosted a giveaway with a chance to win fun prizes each and every time we gained another 1,000 likes for the last months of 2013! Join in the fun by clicking over to our fan page, Like us, and be sure to keep your eyes open for more fun coming in 2014. 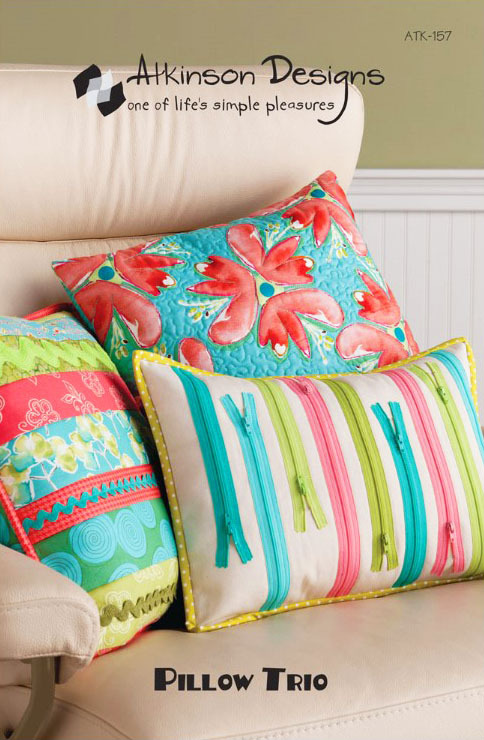 Do you plan on setting any new sewing goals for 2014? What will your sewing goals be for the coming year? Sweepstakes Rules: Open to residents of the 50 United States and the District of Columbia. One comment per fan. Comment must be submitted to the WeAllSew.com blog within 24 hours after blog post posting by December 31, 12:00 midnight Central Time. Winner will be chosen randomly. Winner will be announced about one week after contest ends, and will have 48 hours to contact us at WeAllSew@berninausa.com to claim the prize. Keep checking back here starting next week! Congratulations to our contest winner, WeAllSew user srb4! Enjoy your pattern and thanks for joining in our contest! My 2014 Sewing Goal is to slow down and enjoy the process . . . I tend to get too focused on “completing the task” and forget to have fun! I plan to learn how to machine quilt. Have done it before, but nothing more than stitch-in-the-ditch and straight line. I have excellent tools. . .a Bernina 580 with the BSR. I just can’t seem to get the hang of it. But I vow 2014 will be the year of free motion quilting and finishing those quilt tops that are piling up! Finish some of my UFOs!! Make a quilt for graduating grandson. To work more on free motion quilting. I want to learn to do free motion quilting and I want to hand-quilt a wall hanging this year. To improve my skill set & grow my work at home business. My biggest goal is to complete a quilt my grandmother hand pieced over 3 decades ago. My goal is simple – to start quilting!! I recently acquired some lovely vintage Bernina machines and can’t wait to use them again. Thanks and Happy New Year! I do have lots of goals for my sewing room – the first is to ORGANIZE the mess – post Christmas craziness, of course! the second is to sew every Tuesday evening for at least 2 hours on fun projects for my family! I have lots in mind! my goal is to make 1 quilted wall hanging so good I can enter it in the fair or somewhere that you enter quilts. Plans for 2014 includes making at least 10 charity quilts as well as learning the free motion quilting technique. There is also the smaller projects of wall hangings and clothing and small crafted projects for gifts. I make a lot of charity quilts. A simple pattern is a brick road or lasagne quilt. Cut your scraps into 4 x 8 rectangles and 4 inch squares you will need 96 rectangles and 12 squares. Sew them into strips using 8 rectangles and 1 square then join them alternating the squares top to bottom. No seams to match and the scrappier the better. I use them to practice stippling and machine binding. They are exactly the right width so that you will not need to piece the backing. Sometimes I have to trim a little off the sides but they still look good. Great kids quilts, lap quilts for nursing homes, we even keep a couple in the car. I have done so many of them that I can truly make it in a day especially if I cut my scraps when I finish a project and have them on hand. Good luck with your resolution, someone will thank you very much. My 2014 goal is to learn how to machine applique. I’m also going to keep finishing some quilt tops that have been patiently waiting for quilting & binding. Thanks. I plan to my a carpet bag for my daughter’s Civil War re-enacting kit. I’m planning to start on Christmas gifts earlier. My goal is to complete a gift every month. I have so many plans… first there are a couple quilts I need to finish then I wanted to do some leather work. Can’t wait to get started! I just want to sew more! Work on my FMQ techniques and get some quilts done! My goal is to find a lot more time to quilt. I would like to completely finish at least 6 quilts this year. I am planning to finish some of my UFOs and to not buy too much more fabric but to use up some of my stash instead. I want to use my new spanish hemstitching attachment on something. Maybe a little bag or a pillow case. I would like to set up my sewing machines in a somewhat permanent place instead of always having to take it down and store it in a corner. I have several sewing goals for upcoming months. First is to sew up some neat christmas gifts for NEXT christmas. Then I plan to clean up my sewing space so I can identify UFOs and get to work on them. Any new projects will be done with primarily stuff I already have–fabrics, embellishments, buttons, zippers. I would love to be able to just sit down & ‘create’ something new. I miss sewing all weekend long with the end result being an extremely happy child or sibling. As an empty nester I finally have my time back. I have so many ideas, I don’t know if I have enough time. I want to finish some of my UFO’s before I start or buy some new projects. I plan to make my new Bernina 880 my very best friend, finishing up lots of UFO’s – and starting new ones. I want to learn more about modern quilting, and to use up some of my stash. I also want to get better at machine quilting. I plan to alter at least 2 items per month, so I’ll have 2 dozen items (hopefully more) all done by this time next year. I plan to sew or organize my sewing things everyday for the year. At least I hope to! My goal is to improve my embroidery skills, try some new techniques in garment sewing, and just enjoy my hobby as much as possible.